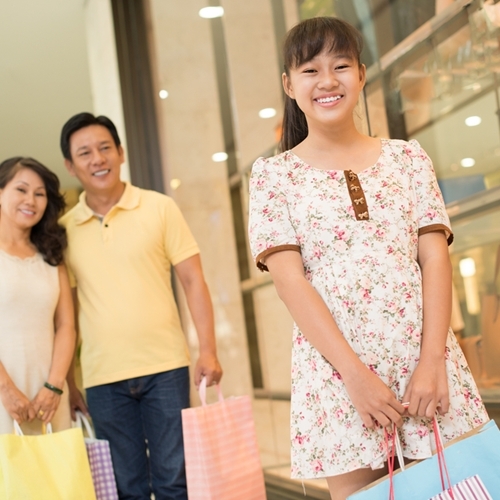 The in-store experience is important to shoppers. Although many may think social media, websites and mobile capabilities are changing the retail experience, in-store shopping remains the most critical part of the purchasing decision. 75 percent of respondents indicated that financing remains a critical decision for making purchases, while 89 percent said promotional financing makes large purchases more affordable. The average amount of time shoppers spend thinking about a purchase is dropping, down to 68 days from 80 in 2014. The major takeaway from this study indicates that 73 percent of shoppers continue to learn about the product before purchasing in-store and 87 percent enjoy making purchases in person. 64 percent of shoppers also said that the in-store visits had a greater influence on purchasing decisions than online research. Instead of waiting for their purchase to come in the mail, or clicking the wrong box in terms of color or size, in-store visits let shoppers choose what they want in real time, and take it home with them. Many respondents said they enjoy the experience as a whole, interacting with store associates and fellow shoppers at the same time. Be sure your customers’ purchase experience is as seamless as their shopping, with a state-of-the-art, secure point of sale system from Visual Retail Plus. Learn more on our website.